Since we’re heading off into the weekend we figured we’d leave off with our quick impression of the Samsung ATIV Smart PC 500T Tablet. 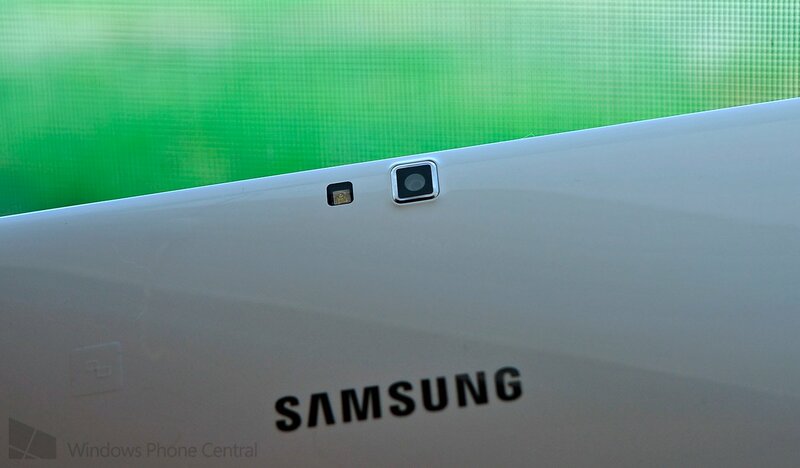 Whew, that Samsung does not mind a long name, for sure. So why are we doing this? Same reasons as always (1) I bought one this week (2) many Windows Phone users are also shopping around for tablets/hybrids and PCs. Let us be the guinea pig to test ‘em out for ya. Head past the break for some photos and our hands on video tour of the device, including our thoughts. 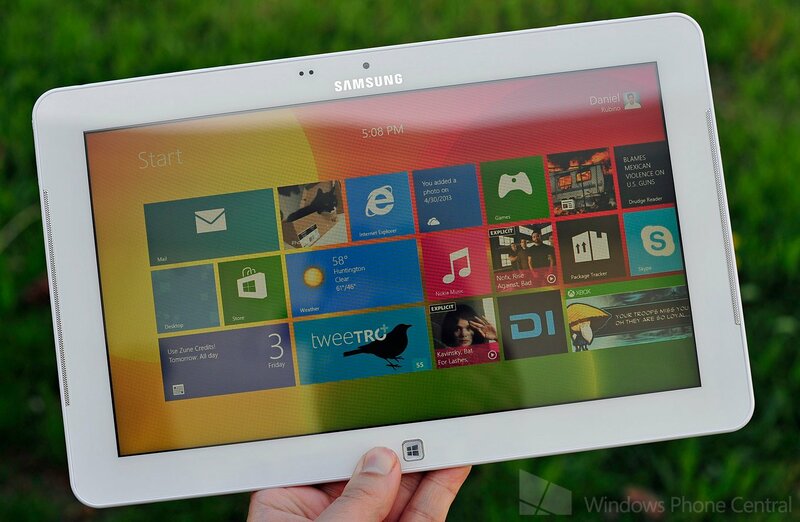 The Samsung ATIV Tablet did not initially impress me when it was first released late last year. But walking into my local Microsoft Store (the only place I’ll buy Windows 8 hardware due to their Signature treatment aka no bloatware) I was immediate wowed by the all-white version, which I did not know existed. Indeed, I think only the Microsoft Store and in Korea is the white option available as opposed to the grey/gun metal color which I find so drab. The white version currently goes for $599 plus an extra $124 for the keyboard, though on Amazon you can order the grey version with keyboard for just $620 (DEAL ALERT). I’ve have/had the Acer W510 and Surface RT to compare this device too and while each has their advantages, the Samsung ATIV Smart PC tablet is quite impressive. Look, Samsung knows how to make hardware and while this device is very “plastic” it’s also a very comfortable 1.65lbs. 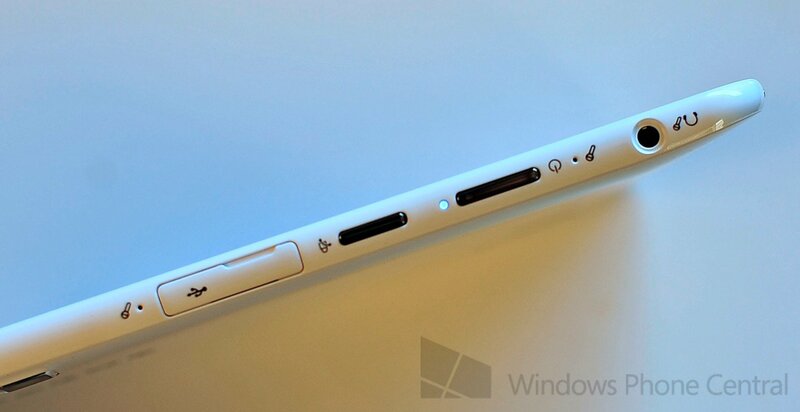 It’s well built, doesn’t creak and even has plugs for the keyboard dock holes to keep the device smoother looking. The cameras are decent, the CPU handles Windows 8 just fine (for everyday tasks), you have plenty of storage (relatively), GPS and NFC and did I mention the kickass Wacom digitizer and S-Pen for handwriting? That handwriting addition makes the keyboard…less important to have. Sure, if I were writing out a long article, email or paper I’d prefer a keyboard but for light data entry? 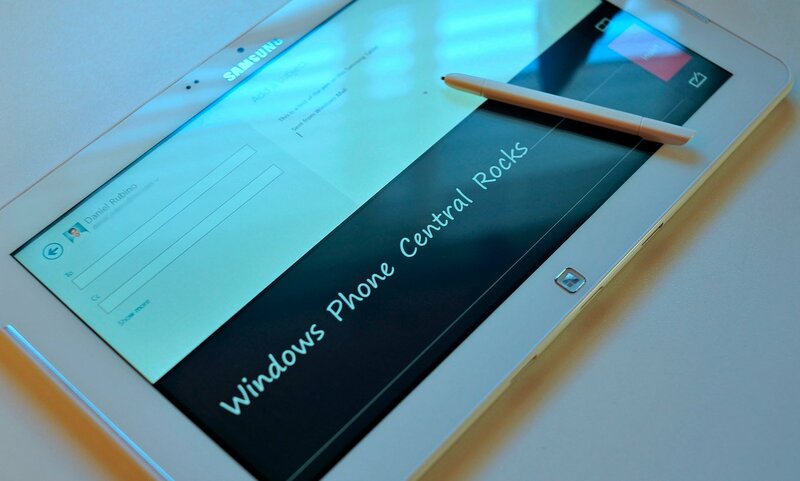 The S-Pen is quite fun to use and allows you to use this as “just a tablet”. Because as soon as you add a keyboard, the dynamics of the device change: you now act like this is a laptop and things feel a bit slower when you use it like that. Sure you can, but if you’re use to an Ultrabook running Photoshop, you may get frustrated. 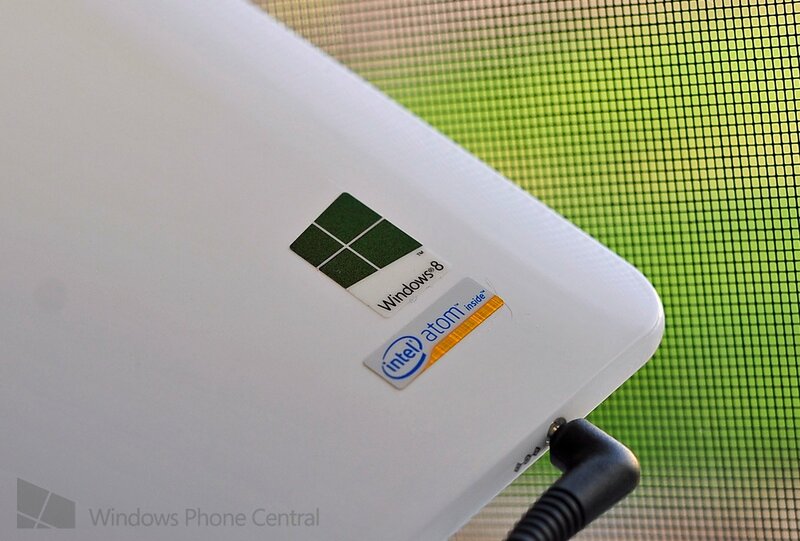 The speakers are dual, front facing with 1.6W of power and while they’re not mind blowing, they’re certainly better than most other Windows 8 tablets we’ve tried (and your hands don’t block them when in use). 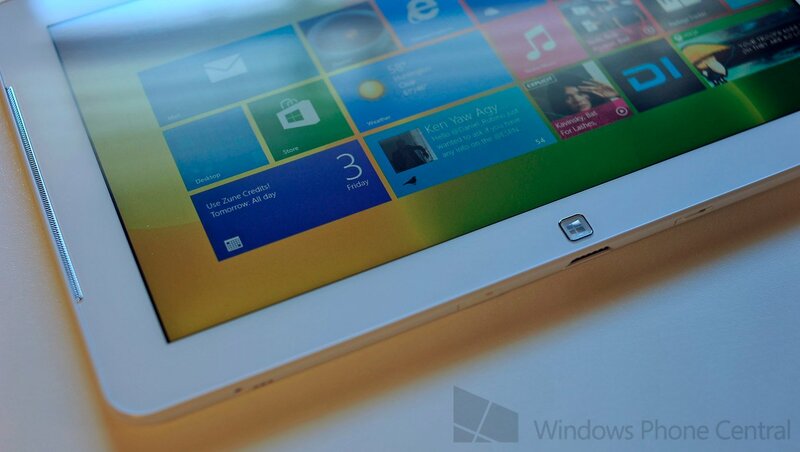 The ATIV Smart PC Tablet is a solid, well-built tablet. I like the size, the price, the performance and especially the S-Pen for note taking (I don’t think I’ll ever buy a tablet without one again). Samsung may be cold on Windows Phone, but they can still make a compelling Windows 8 tablet (even if it looks like a big Focus 2). There is one thing that bugged me: Samsung’s stupid “update” software. They have their own proprietary update service that in theory, is a good idea. It checks for updates for everything: the OS, drivers, BIOS, etc. Thing is, I literally had about 1GB in updates to do and on an ATOM processor, that’s an eternity. It probably took upwards of 3 hours to update the whole device and that was after I ran into issues with the OS not wanting to update itself. For instance, I skipped Samsung’s update utility (didn’t know it was there) and dived right into the Windows Update. It found 34 patches and when it went to install, it would just hang. I have no idea why but it was only by going through Samsung’s updater that I got it all to work. Of course now that I’m over that annoying hump, everything is just peachy and I’ve been enjoying the device so much I almost forgot about that incident.